I was born on December 14, 1963 at small town called Olenkomi found in West Shoa Zone, Oromiya Regional state, Ethiopia. 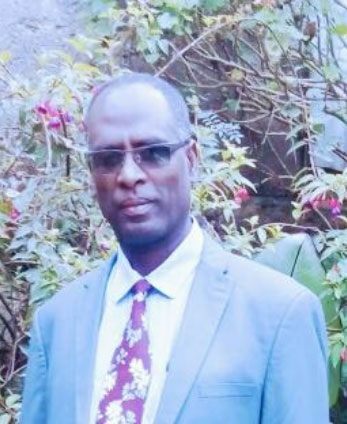 As a fresh graduate in the field of Educational Psychology I joined the national Church, Ethiopian Evangelical Church Mekan Yesus (EECMY) in October 1988 to work in child and youth care ministry. I have worked on various level of responsibilities in the church child ministry for more than 20 years as hostel director, social worker, program officer and program director. Under this ministry more than 50,000 needy, orphan and children with various disabilities are getting services. Among the services rendered to these children are: saving and rehabilitating the life of children; assisting children with basic needs of life and education; encouraging the children for vocational-and skill-oriented trainings; offering the children medical care and counseling; orienting them eventually to be self-supporting in their life and developing their spiritual life. Especially as a program director for church child ministry I worked on giving opportunities to children with various disabilities for learning, spiritual, social, mental, physical development and awareness raising of community to be included and recognized human being. Indeed, managing such a huge child development program has helped me gain wide experience. Furthermore, I pursued my further studies (M.A.) in the field of Child Studies (2007-2009) in Sweden. Simultaneously I also took distance studies in M.A Rural Development from Indira Gandhi Open University (2007-2011). Since August 2017 I started working with Mill Neck Lutheran Friends of the Deaf (LFD) as liaison officer and consultant having primary responsibility to perform the advice/guidance, capacity building and project monitoring roles for the well-functioning administration of Mill Neck, LFD supported projects, with the purpose to ensure the fulfillment of Mill Neck, LFD mission.